The only problem with this is that there isn’t room. Houses are only meant to hold so many people upon the time of purchase, and renovating a home doesn’t seem to be worth the destruction and time that comes with adding on rooms to fit your permanent guests. The solution doesn’t lie in tearing down walls, but in the revolutionary housing market of cost effective and luxurious granny flats. You may be asking yourselves how something crafted in luxury could ever save you money, and we completely understand your reservations about looking into building a flat. So let us help by answering your question. 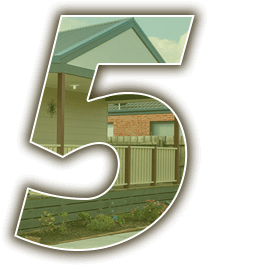 Our Luxury Granny Flats Have Earned a Six Star Energy Efficiency Rating When we design our luxury granny flats on the Gold Coast or anywhere else, we don’t just tack on items to make it look nice. They are manufactured with the intent of being able to house you and your friends and family for years to come. They are durable, comfortable, energy efficient, and half the cost of a normal house. You’ll be amazed with how comfy our granny flats are once we’re done assembling to them to your exact specifications, and there may be times that you might find yourself reluctant to leave the cosy atmosphere of the lounge area you can have built inside your flat. The Daikin heating and cooling systems that come free for a limited time on your purchase of a new granny flat will save you the cost and effort of installing them yourself, and during the winter months, there’s nothing better than snuggling up in front a movie with your family. You can do just that by adding in a spacious lounge, dining area, or even additional bedrooms should you want the extra space. We save you money by building only what you need. No extras unless you want them. No hidden fees, and no shoddy workmanship that will have you phoning in repairs a month later. If you live on the Gold Coast, Brisbane, Queensland, or even Victoria, we can help you build a luxury granny flat that is equipped with everything you could ever dream of. Schedule an appointment today by either sending a call or email to visit one of our showrooms.